U.S. companies are optimistic about business prospects in ASEAN, according to a survey conducted by the U.S. Chamber of Commerce and The American Chamber of Commerce in Singapore (AmCham Singapore). In a poll of 356 senior-level executives from U.S. companies across the region, 21% of U.S. companies are planning to diversify some investments or business from China into ASEAN over the next two years. For the first time, respondents were asked about Myanmar. While a majority does not export to Myanmar, 33% are exporting, or are planning to export to the country. 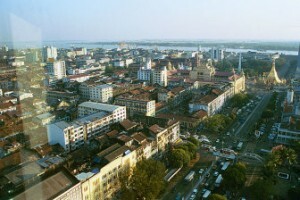 According to the survey, Vietnam and Thailand had the first and second largest number of respondents considering exporting to Myanmar. A majority of respondents (72%) either support or strongly support the U.S. government’s decision to suspend sanctions on Myanmar. While U.S. companies view the business outlook in ASEAN favorably, the survey found substantial concern regarding corruption, which was the top issue for respondents in all countries except Singapore.